4 Outdoor Activities For Kids To Make The Summer Awesome! Schools are out and the summer is finally here. Bicycles are rummaged out of storage, footballs are pumped and water guns are lined up. Midsummer weekend is round the corner and everyone is excited to spend time enjoying the great outdoors. However, finding tasks to keep kids interested and entertained throughout the day can be difficult. 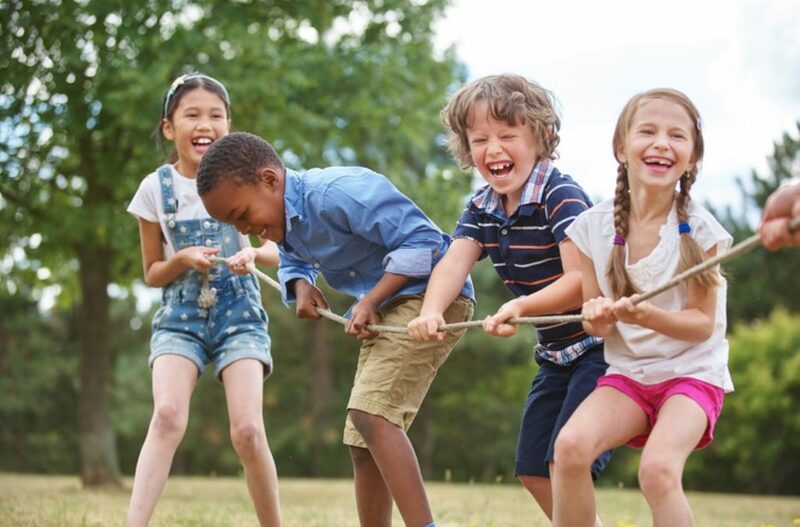 So we put together 4 outdoor activities to inspire you to help your little ones have some serious fun in the sun. 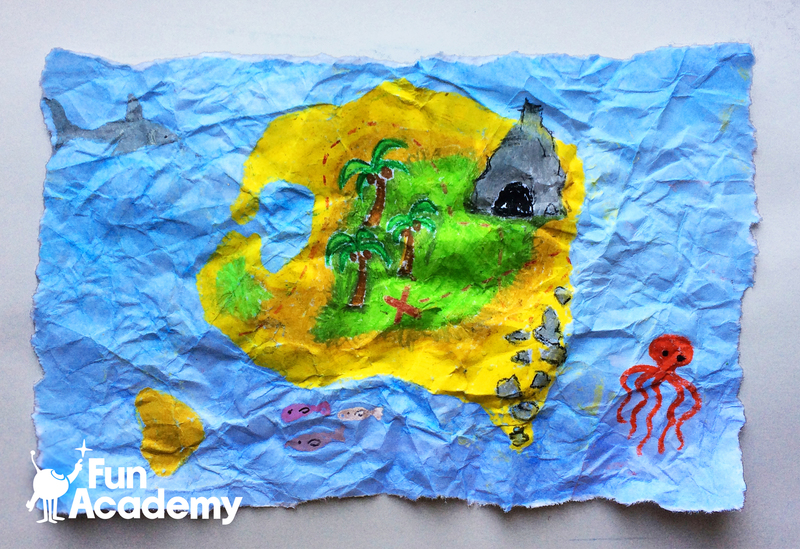 In this activity you will create your own map and search for hidden treasures. All you require is some paper, crayons and a sense of adventure! All good adventures start with an inspiring story. Therefore, huddle together with the kids and come up with an exciting back story to your treasure hunt. Are you a group of sailors who heard from an old man by the sea about some gold which was swept to the shore from a sunken ship? Maybe you are a team of archaeologists in search of a lost kingdom. Let the kid’s pick a theme that excites them the most and build your story together. Take a walk around your summer cottage, backyard or nearby park. Ask children to spot and make note of key landmarks and different areas. You can even take pictures using a camera or a smart device. Focus on paths, big trees, lakes and most importantly well hidden nooks great for hiding something valuable. Remember trees could be guardians of a magical forest, rocks could be homes of tiny Gnomes and grassy patches could be landing pads for spaceships. Prompt kids to unleash their imagination. Now you are ready to create the ultimate treasure map. Use the notes and pictures you took to draw a map of the area you explored. Ask kids to imagine how a bird flying over the area would see it from way up high. Moreover, remind them it’s best to include things that do not move. However, if they want to draw the ginger cat they saw by the blueberry bushes who was clearly up to something, that’s totally fine too. Include as much detail as possible, and help them mark their current spot/starting point on the map with a circle. Once completed and fully dried, you can crumple up the map and dust it with some coffee granules to give it an aged look. There are several ways to carry out the treasure hunt. You can hide a small item yourself, or ask kids to divide into teams and take turns burying the treasure. Either way, remember to select an inexpensive and durable object such as a small toy, costume jewelry or chocolate gold coins in an airtight container. Hide the treasure in a significant spot with safe and easy access, and mark the place with an X on the map, or help children to do the same. Now you’re ready to hunt for treasure. If they like, the children can take up different roles within the story you created. A victory dance when the treasure is eventually found is mandatory! Create beautiful pieces of art using natural things you find in the nature. Help kids to explore their surroundings, and discover the patterns and sequences that exist around then. The good news is the material you need for this activity is anything you can find on the ground. Together with the children explore the natural environment around you. 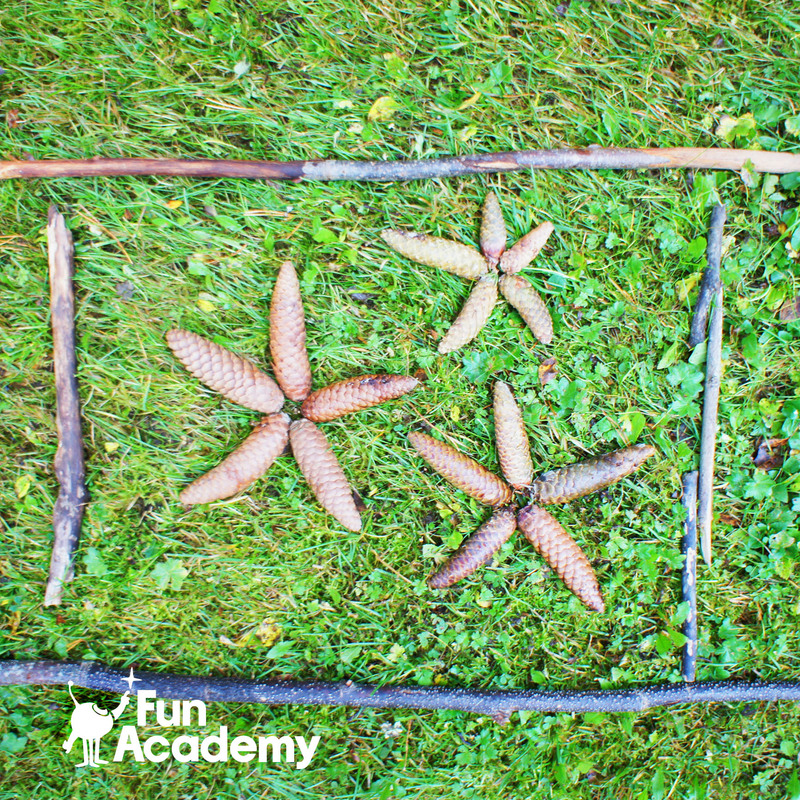 Ask them to collect things on the ground such as fallen leaves, rocks, sticks, acorns, etc., for their art project. Remind them not to break off anything from trees, and ensure they do not disturb any animals or insects. This is also a great opportunity to take a closer look at naturally occurring designs on barks of trees and even spider webs. When the children are happy with their selections gather everything they collected onto a clear space on the ground. It’s time to let your creative juices flow. Encourage the children to use what they foraged to create an art on the ground. Lay out the leaves and stones in unique patterns creating various animals, people and objects, or contemporary art. Mix and match different colors and designs. Once they complete their artwork help them to frame it using sticks or a row of pebbles. You can take this project up a notch by having an ‘Art on the Ground Exhibition’. Invite everyone from the neighbourhood including the lady running the ice cream stall, to walk through the art displays and admire the creativity. They can take pictures of the art, and also interview and congratulate the artists. Standing in line for an autograph is to be expected. Engineer your very own sailboat to actually float on water. Experiment with designs to create boats that float better and move faster. As the grand finale organize a spectacular sailboat race. Pieces of wood cut to the shape of a bottom of a boat. You can use scraps of light wood or stock craft wood for this. Each piece should also be drilled to create a single hole for the mast. A lake, pond, paddle pool, bathtub, hay feeder or something similar with sufficient breadth and depth to hold water for boats to float and move. Help the children cut out fabric triangles for the sail. Thereafter, ask them to mark how tall they would like the mast to be, and cut it for them using the garden scissors. Then, they can first paste the sail onto the mast and then glue the mast into the predrilled hole in the boat. Encourage children to paint and decorate their boats if they wish, but remind them to use light and waterproof objects. If you are planning to sail the boat on a lake it’s advisable to attach a piece of string to hold onto the boat, to prevent it from floating away or sinking to the bottom. Let the completed boats dry thoroughly. Sail, sail, sail your boats! Ask the children to first test their boats to make sure they float. They can also blow on the sail and check how the boat moves on water. Assist them to make any alterations if necessary. After a little more glue here and a little less height there the boats are finally ready for the big race. If you are trying this on a lake or a pond line up the boats and let the wind take its course. 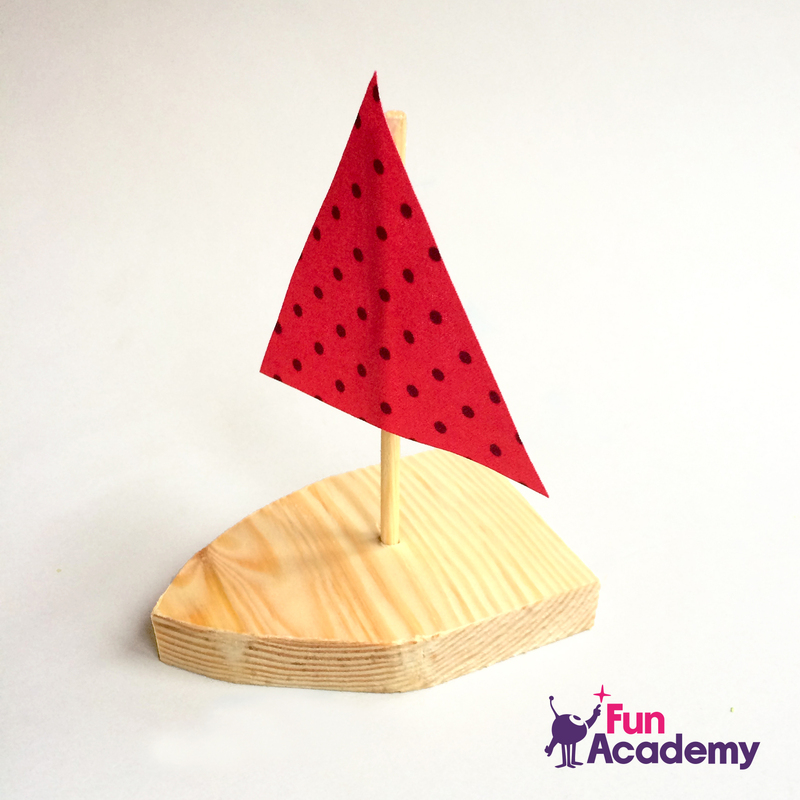 Alternatively, if you will be using a paddle pool kids can nudge their boats along by blowing on the sails. Award the winner with a ‘Chief Captain’ tile and challenge her for a rematch. Please remember that this is one of the outdoor activities which requires adult supervision at all times. Children should not test or race their boats in lakes or ponds without an adult present. Have you been searching for outdoor activities that boost imagination, promote friendly competition and workup a sweat? Well look no further. Set up the ultimate obstacle challenge using common household items and things you find in the nature. Help kids discover how good they are in surviving the unknown. Scout your surroundings for items you can use to build an obstacle course. Help children to set up different areas and stations which require running, crawling, jumping and even climbing. You can use anything from tree branches and puddles, to hula hoops and monkey bars to setup the path. Furthermore, you can mark different areas by drawing on the ground with sticks or ropes. The children can divide into a couple of teams and compete against each other to finish the course first. On the other hand they could tackle the course one by one while the others cheer them on. You can also ask kids to blow soap bubbles or throw softballs at contenders as they try to complete certain sections. If they get hit they must got to the beginning of the section and start over. Make sure to assess all the stations set up for any potential safety hazards. Most importantly, have fun! We hope these outdoor activities will inspire you to have a fun filled summer holiday with your little ones. Follow us on social media and keep an eye out for our next week’s blog on 4 indoor activities for kids to brighten up those rainy summer days.